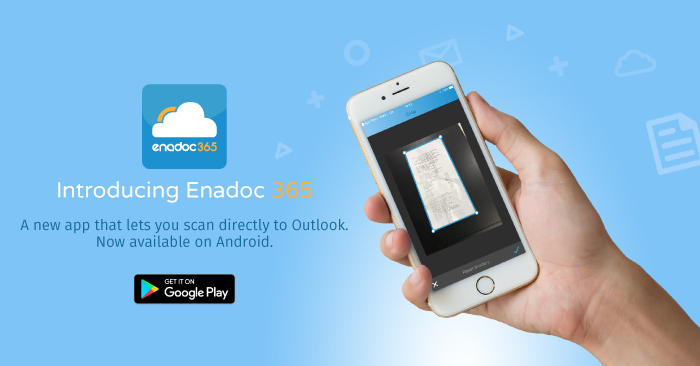 Leading global IT solutions provider Tech One Global recently launched Enadoc 365 on Google Playstore, the mobile companion app of its innovative document management solution, Enadoc. Enadoc is a document management solution which allows businesses and organizations of all sizes to disaster-proof, secure, and facilitate day-to-day archiving of office files and documents digitally. This solution highlights a user-friendly interface and is accessible via web browser, which allows convenient access anytime, anywhere, and on any device. Among the other unique features of Enadoc is the tag cloud, which allows users to type in important keywords on each file to make it more searchable by categories. Enadoc is subscription-based, which is a cost-effective and space-saving solution for businesses wanting to do away with large, physical storage servers. It also provides customizable levels of access to its users and is supported by Microsoft Azure—one of the most secure cloud platforms available in the market. Adding to the Enadoc family is Enadoc 365 on Android which has image capture, editing, dynamic cropping, and auto-deskew, all on-the-go. Scans can be easily attached via MS Outlook and other email providers. Users can further create and automate their workflows on Enadoc My Workspace via MS Flows, providing a seamless integration with O365. “As enterprises become increasingly mobile and connected 24/7, we hope to increase workforce collaboration and productivity through Enadoc 365. This solution has been a product of years of extensive research, testing, and is one of the best document management solutions (DMS & ECM) in the market;” Lars Jeppesen Tech One Global CEO & Founder shared. Download you free version of Enadoc 365 on Android here and IOS here. Tech One Global is a leader in digital transformation and is one of the largest document management solutions company in Southeast Asia. Established in 2003, the company has provided innovative solutions to both small business and enterprise clients ranging from Microsoft licensing, Microsoft Azure, Office 365, Enterprise Content Management, document scanning services, content services platform, Enadoc and Cloud Solutions. Visit www.techoneglobal.com for more information.